When you receive a box which is beautiful enough to keep staring at, you don’t want to open it! 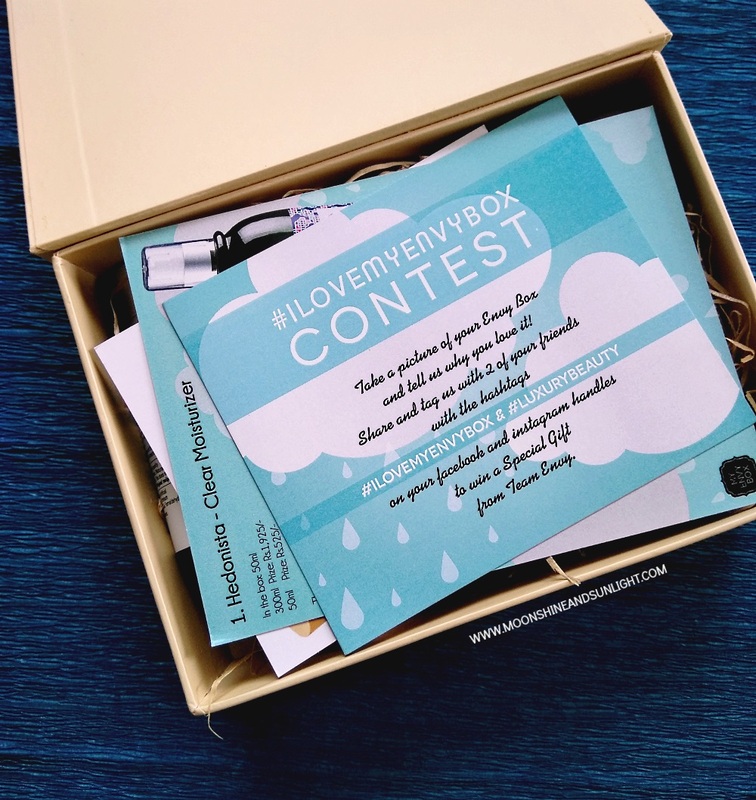 Something similar happened to me when I received the August 2016 My envy box. But then again, the anticipation and excitement took over and I open up the box, only to get a nice surprise! They have been focusing on the design of the box for some time now and every month the box that they design is worth staring at! Without further ado, let’s see what the contents of the August 2016 box are. 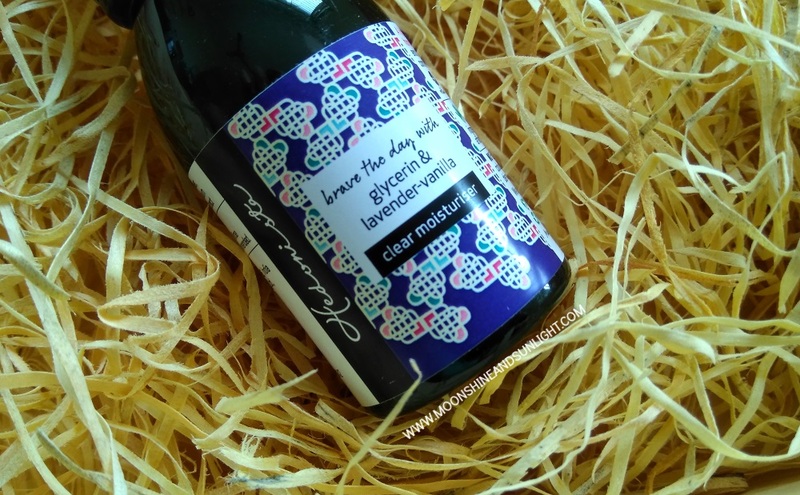 The full size of this moisturizer is 300 ml and is priced at 1925 INR. I think 50 ml is a very good amount to try out a product properly. It smells very mild and comforting! Excited to try this one! I had been meaning to try an eye cream for some time now. 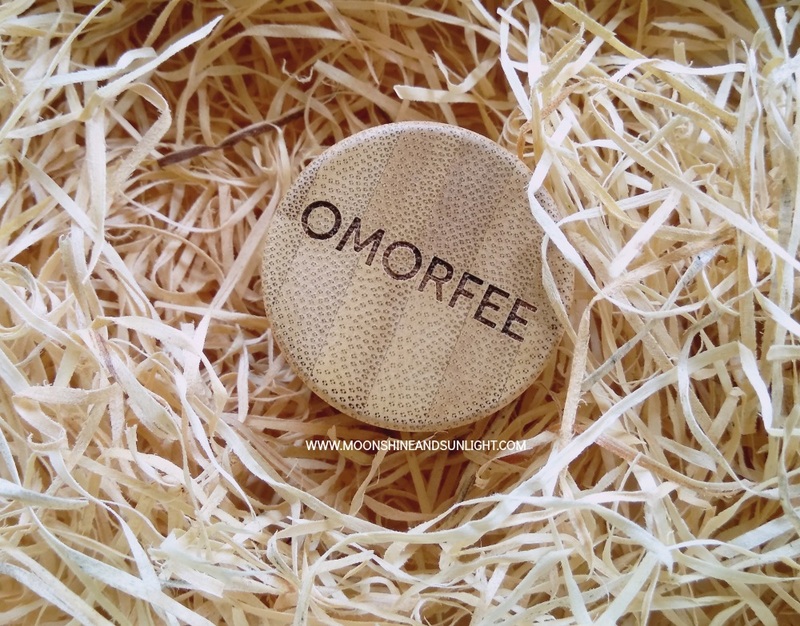 Happy to receive this full size product which claims to reduce puffiness and fade dark circles. Let’s see how this works on me! The shade I received is a subdued and subtle metallic beige- gold, called Princely Flair. I have tried polishes from Stay quirky before and loved the polishes. (Read more). I am most excited for this one! 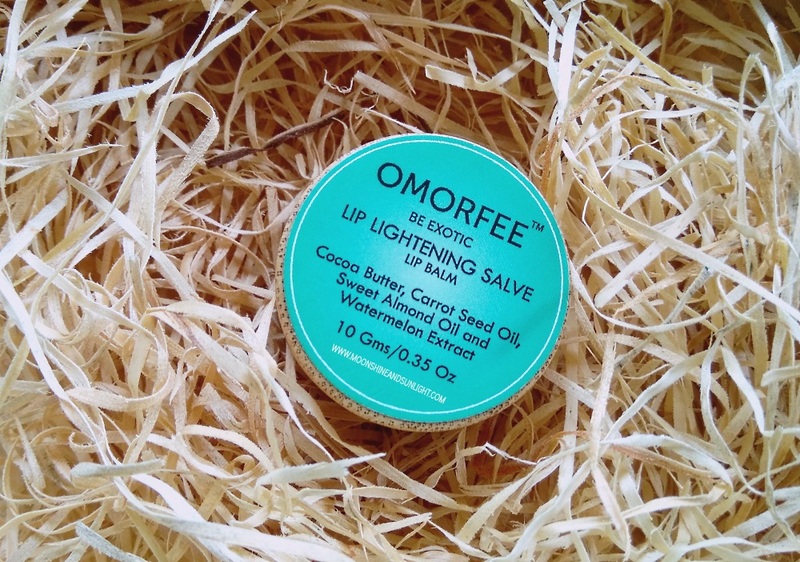 This salve smells like watermelon and claims to lighten lips and reveal baby soft pink lips. The wooden/bamboo jar packaging is a cherry on top! I have already started trying this and this stays on for a long time and is very hydrating! All in all, I am happy with three full size products that I would end up actually using! The brands mostly resonate with my requirements and beliefs, so that’s another plus point. I would have loved it even more if they had an option of choosing the nail polish shade. 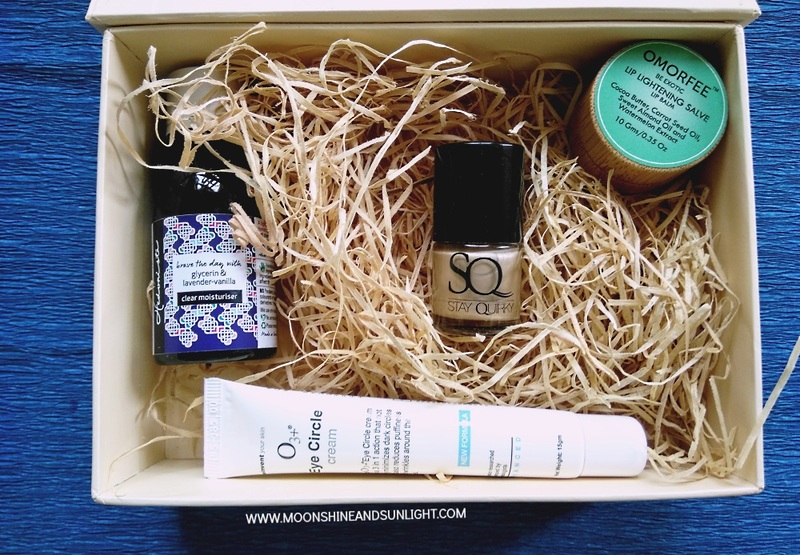 I am quite happy with this month’s box and would definitely recommend it to you all. The price of the products in the box anyway exceeds the amount of the box itself. Price – 850 INR/month which comes down to 709 INR/month for a yearly subscription. 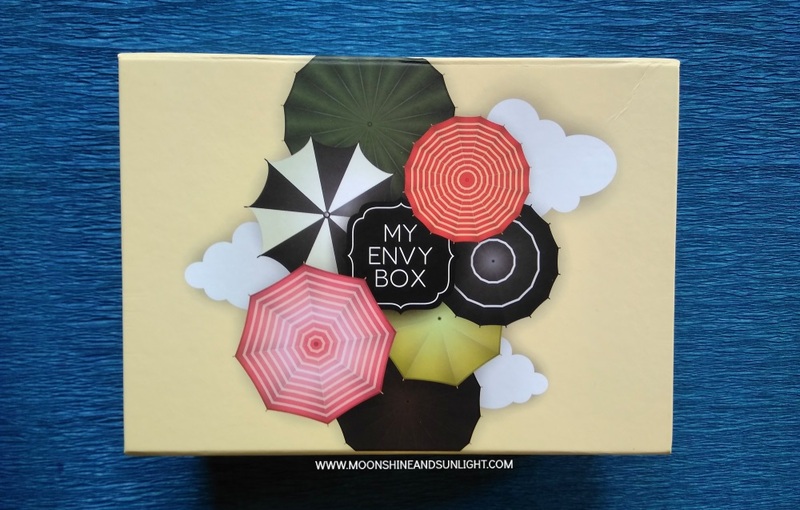 What did you receive in your My envy box? What do you think about the one I received? *This box was sent by the brand in exchange of my honest opinion. The box looks lovely. Nice set of products this month. 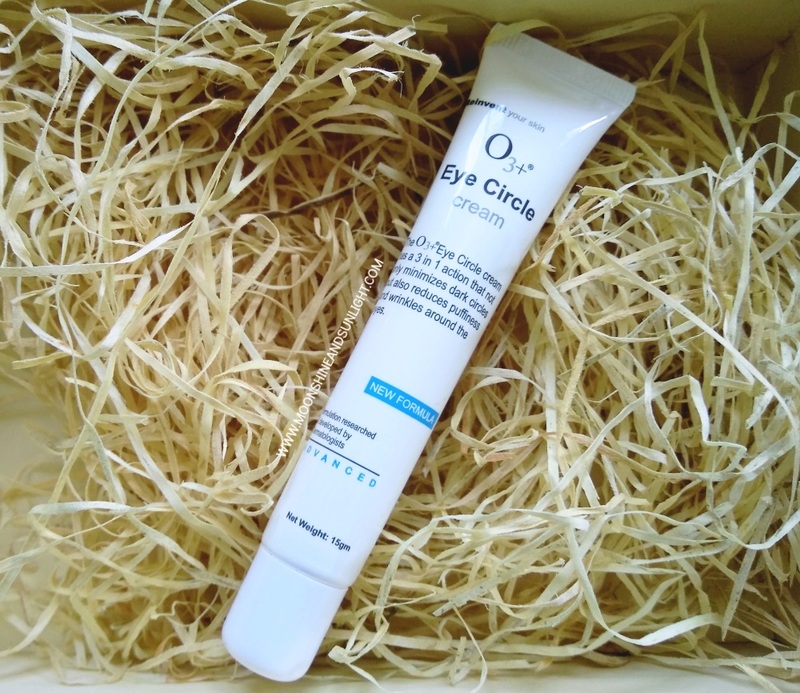 Looking forward to the review of O3+ eye cream. 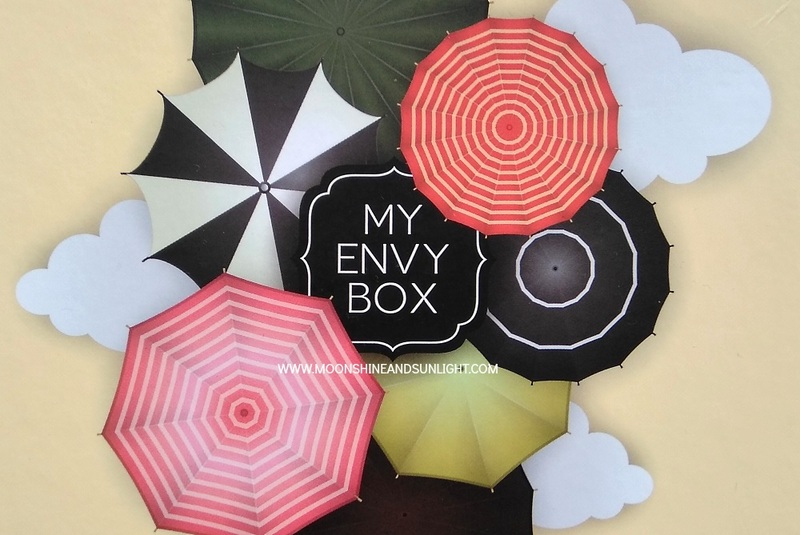 I have tried My Envy Box before and have always loved it. 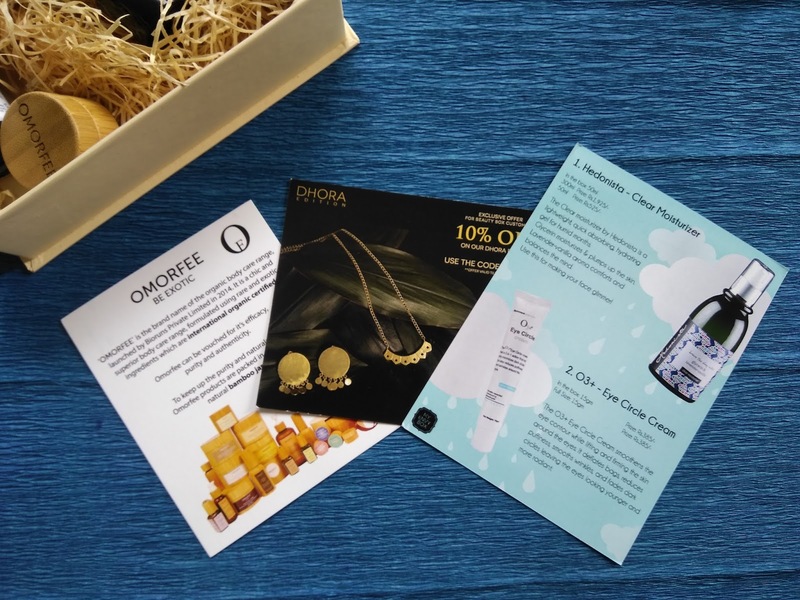 The products that they come up with in the box are very well thought and useful to customers. I hadn't till last year! Yes, they always have awesome products!! Thank you for sharing the interesting article for the very nice people.